Book a table via the Chope app at these perfect spots in Jakarta and enjoy IDR 100,000 off bill. What are you waiting for? Download the Chope app now! *Valid until April 15, 2018. Minimum spend before tax. Physical voucher not valid at restaurant. Voucher can be used only on Chope app booking. Booking info must be presented at the restaurant to redeem the promotion. 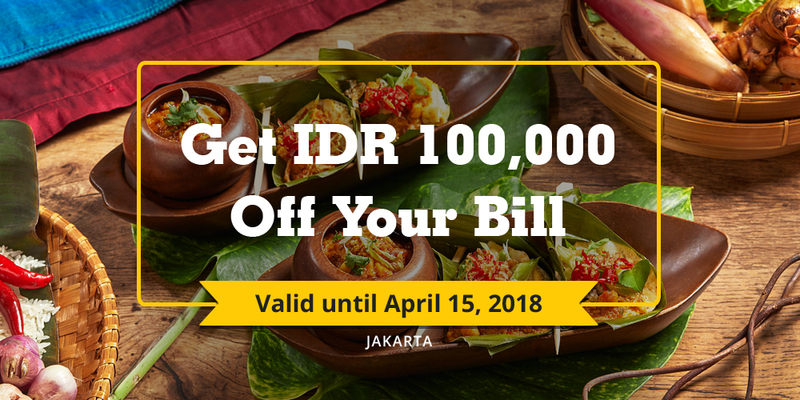 Limited to one offer of IDR 100,000 off per reservation. Offer cannot be redeemed for cash. Blackout dates may apply. Date of dining should match date on booking info. Offer is not valid in conjunction with other promotions. Jalan Puri Indah, Kembangan Sel.